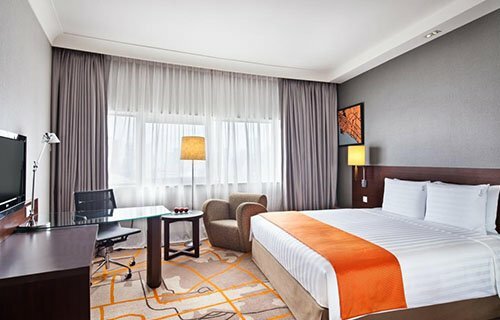 Spacious and private, our Executive Suites provide business travellers additional room to work or simply relax in style. The 53-square-metre hotel suite features a separate living and dining area, iPod docking station, and spacious bathroom. 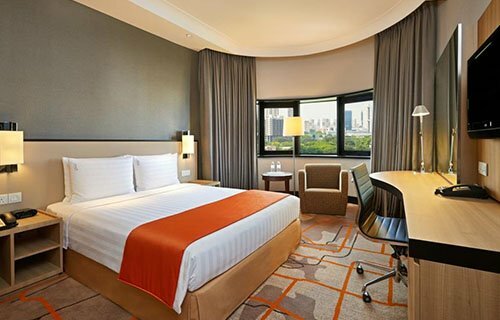 As a business hotel Singapore and international companies prefer, Holiday Inn Singapore Atrium is the place for business guests to work and relax in style. Guests staying on Executive floors will enjoy exclusive access to the Executive Lounge, offering complimentary breakfast, refreshments throughout the day and evening cocktails with canapés. Guests also enjoy 2pm check-out, subject to room availability, and two complimentary hours’ use of the Riverside Boardroom. Executive Suites are non-smoking only. Guest will enjoy the vibrant new décor of our Deluxe Rooms, which are fully equipped with all the essential amenities. 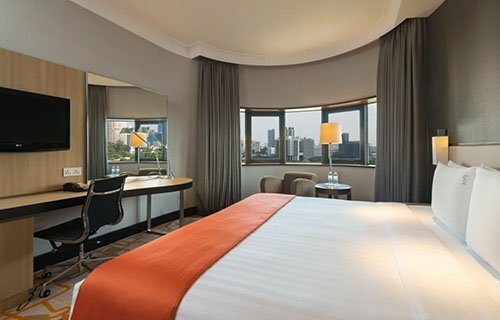 Located on the top three floors of the hotel, Executive Rooms offer unobstructed views of the Singapore city skyline. Our spacious 30 sqm Accessible Rooms feature additional space and setup to suit guests requiring greater accessibility or space for families. Non-smoking rooms only.